Player gets one chance to choose key to open chest. 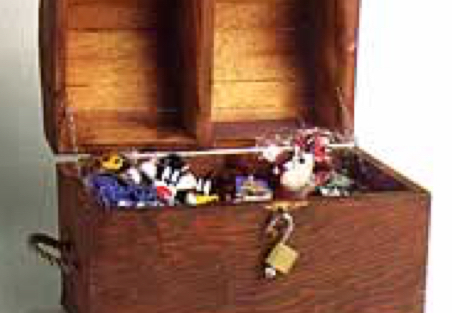 Key opening treasure chest wins first prize. Key not opening treasure chest wins consolation prize.